The start of a new year brings new hiring goals, a new Recruitment Marketing budget and a fresh outlook on all the ways we aspire to move our talent acquisition strategies (and our own careers) forward. But already, the harsh realities of deciding priorities are settling in: There are more business partners to support, strategic hiring initiatives to spearhead, time needed to select the right recruiting vendors, new Recruitment Marketing channels to test, and just overall increasing demands on our resources. It can feel like being torn in 10 different directions at once. And it’s still January. What does this mean for you? It means we need to remain agile, scrappy, creative and—above all—ultra-focused to achieve our Recruitment Marketing plans, demonstrate our value and deliver tangible results. To help you shape your focus this year, I’m sharing the top 5 Recruitment Marketing priorities for 2019. 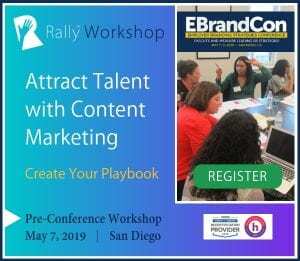 These Recruitment Marketing priorities come from countless conversations over the past few months with people like YOU—the forward-thinking and inspiring practitioners in the Rally community—along with insight from our RallyRM Mentors. Of course every company and team will have their unique business needs, but I think it’s always useful to see what your peers are up to. 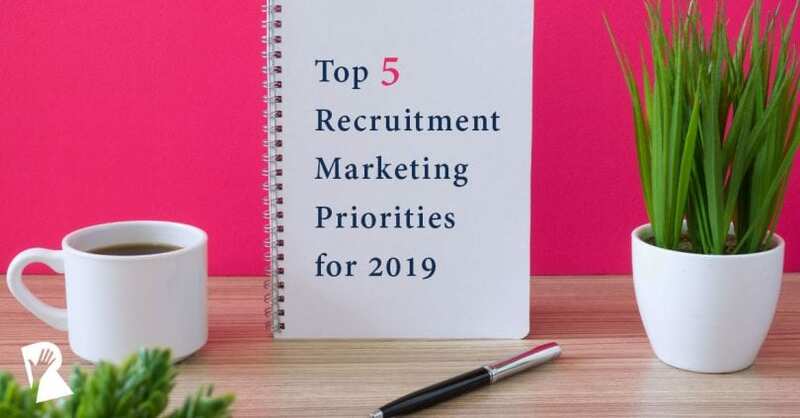 So check out this year’s list and take a look at the resources we recommend to turn your 2019 Recruitment Marketing priorities into action! Candidate Relationship Management (CRM) systems are becoming as widely adopted—and as essential—as Applicant Tracking Systems (ATS), but they are terribly underused. A big priority for this year is that we learn to use our CRMs to their fullest potential. While many of us have purchased these platforms, it’s time to truly invest in them, and that means gaining the skills needed to use all of the features and automation that our CRMs can provide. There are two specific opportunities to better leverage your CRM in 2019. The first is to use your CRM to help move candidates down the recruiting funnel, complementing the outreach that your recruiting teams are doing one-on-one. Just about every recruitment CRM offers the ability to send automated emails (and increasingly texts too) according to a candidate’s hiring stage or profile characteristics. Using your CRM, you can use email marketing and text messaging to deliver targeted, relevant Recruitment Marketing content to candidates at each stage in your company’s hiring process. For example, a new applicant can automatically receive a thank you email for applying and a week later receive your email newsletter, so that candidates stay engaged while waiting to be screened by a recruiter. The second opportunity to leverage your CRM in 2019 is to re-engage candidates who are inactive, meaning candidates who applied some time ago or a contact who was previously sourced but who has gone cold due to lack of contact by you or lack of response by them. Creating a lead nurture strategy is a cost-effective way to re-engage people who already know your employer brand, rather than always depending on attracting new talent into the top of your recruiting funnel. But first you must warm up your cold database using marketing best practices for email deliverability. Once you do, you’ll be ready to share new jobs, invite previous applicants to a recruiting event or ask your talent network for referrals. Sourcing from your CRM and ATS can help reduce overall cost per hire and even decrease time to hire. How about starting the year with a plan to stretch your budget farther? Everyone will get on board! Last year, improving candidate communications made my Top Recruitment Marketing Priorities List for 2018. And this year it remains one of the top areas of focus for Recruitment Marketing. Why are we talking about candidate communications and not candidate experience? Because the candidate experience is a communications experience. We should ask ourselves: What messages are candidates receiving about our employer brand? Can candidates easily find the information they’re searching for? What communications channels do they prefer and how long does it take us to respond to questions? 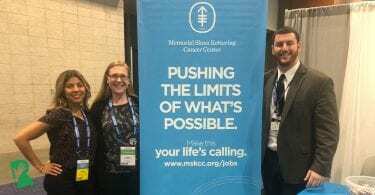 Are candidates able to connect with a real person to learn more or get assistance? Does the tone of our communications reflect who we really are? If your organization isn’t providing a highly responsive, highly humanized candidate experience, you’ll find that top talent will quickly bounce from your careers site, abandon their application process, unsubscribe from your mailing list or worse, create negative word of mouth and online reviews. Why? Because an unresponsive and impersonal recruiting experience gets candidates thinking: If an organization doesn’t know how to connect with me as a person when I’m a candidate, how will they treat me as an employee? To prioritize improving candidate communications, start by mapping out a typical candidate journey and auditing what their experience is like at each stage. Consider all of the touchpoints that candidates will have with your talent brand, anticipate the questions they’ll need answered at each stage and build a plan to provide the information that will help them choose if they should apply or accept your offer. Simply put, Recruiter Enablement is providing your recruiting team with the support they need to fill open reqs today. The focus of Recruiter Enablement is on the middle to bottom of the recruiting funnel, meaning getting candidates to say yes to an interview and of course yes to an offer, even to reduce no-shows. When your Marketing counterparts provide Sales Enablement, they start by seeking an understanding of common sales objections and then arming the Sales team with tailored content and specific tactics to help overcome the objections. Everyone in the talent acquisition team shares in the responsibility of Recruiter Enablement, but there are unique ways that you can lend your skillset. When you align your activities to what the recruiting team needs now, you’ll all play a role in meeting the hiring goals together. Now that’s effective Recruitment Marketing that your entire team will value! I think we can say that content marketing has definitely come to recruiting! I’ve been seeing some seriously strong Recruitment Marketing content being pushed out. I’m talking about Recruitment Marketing content that rivals what Product Marketing teams are creating! You all rock. But even though the quality of our content is improving, there’s a growing amount of digital noise that we have to compete with to capture a candidate’s attention. And that’s why we need to take a tip from our B2C and B2B Marketing peers and prioritize video content more. Video continues to gain momentum as an incredibly effective media and content form. For Recruitment Marketers, there are smart ways to leverage video content to rank higher in search engines to help get your other content found. The good news is that we have more resources available than ever to produce great video content—from recruitment marketing agencies to support from our Marketing partners to basically any employee with a smartphone. Organic video content (captured on someone’s smartphone) typically performs just as well on social media as professionally produced videos, as we learned at RallyFwd from Eric Clemons at U.S. Cellular. Why is this the case? Consider how popular Instagram stories have become! We like to see footage of people’s authentic day-to-day lives—the more “real” the better. The same applies to Recruitment Marketing videos. Candidates want to see video content that makes your employer brand feel more accessible and believable. Even better if that video content aligns to a stage of the candidate journey, so you can enable your recruiters to succeed (see Priority #3). In 2019, be sure to test new ways to ensure your amazing video content breaks through the digital noise and gets in front of candidates. If you haven’t explored paid social ads, this is the year to put a bit of spend behind content on Facebook, LinkedIn, Twitter or wherever else your audience is spending time online. Sponsored content is becoming more of a “must have” than a “nice to have” as social algorithms continue to prioritize and deliver paid over organic content from business accounts. If you have a more mature Recruitment Marketing function and social ads are old news, it’s time to consider programmatic advertising and remarketing strategies to get your video in front of your target audience. Remember, this is the year to create content that breaks through! Of course, if you don’t have an employer value proposition (EVP) in place at all, that should definitely be something you consider prioritizing this year. The EVP is a critical piece of work to do asap so that you know what stands out about your organization as an employer. It then informs the key messages you put in your content and communications to candidates. However, what I’m really talking about here with is taking your EVP to the next level by actually going one level down in your organization: your teams. We’re seeing mature Recruitment Marketers partner with hiring managers by creating local and/or team-based EVPs. The team value proposition (TVP) should communicate the value of working for your organization in a specific geography or a specific group. To uncover a TVP, you’ll conduct research in the same way that you would conduct EVP research but focused on the employee experience of an office location, business unit or department. Conduct interviews, lead focus groups and take a look at Glassdoor and internal employee reviews to see what people say is great about working for your organization in a certain region or functional area. Before finalizing a TVP, you should double check that it rolls up and fits under your global EVP pillars. If your TVPs are telling a different story from your EVP, you may be sending your candidates mixed messages which could cause them to distrust your employer brand. If there is a misalignment, consider whether the issue sits with your TVP or EVP. Does your global EVP need to be revisited? 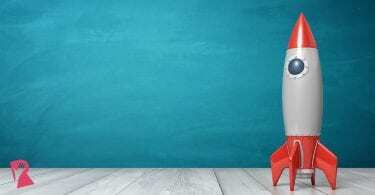 Focusing on telling your company’s value proposition at the team level will help you directly align with the hiring challenges of the business in 2019. There’s no better way to demonstrate your value than a hiring manager who sings your praises! That sums up the Rally list of top 5 Recruitment Marketing priorities for 2019. How do these priorities fit with your plans this year? Lastly, if you’re looking for more concrete ways to put your priorities into action, here are a few final resources that can help you to plan your most effective year to date! Blog: What is a Recruitment Marketing Content Playbook? Good luck, and I can’t wait to see all the great things you’ll achieve this year!